Some kids excel in art, others in sports or math. But Christopher Lane’s talents lie only in thieving and lying - or so he’s always been told. So it comes as a shock to everyone, not least Chris himself, when he wins a place at an exclusive academy after a very unusual interview. For it turns out Chris does have a natural gift for one thing - something that every child can do during their twelfth year, though few will ever find out. He can enter people’s minds. Now Chris must learn to use this power, his Ability, to make the world a safer place. But while Chris is perfecting his talent, twin brothers Ernest and Mortimer are using their Ability to carry out the plan their mother has spent many years perfecting. And she’s not interested in saving anyone. Thank you so much to the readers who have written asking about the third book in The Ability series. Due to different publishing schedules, the third and final instalment of The Ability III is currently published in German only. 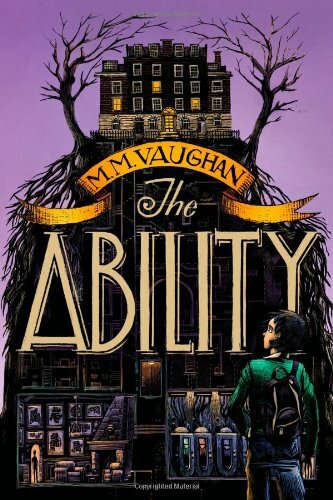 If you would like to be kept informed on any updates regarding the publication of THE ABILITY III in English, please sign up to M.M.Vaughan’s newsletter or check back on here - we’ll post more as soon as information becomes available. Sign up with your email address to receive news and updates. If you are under 18, please check with a parent or guardian first for permission.